Blake Williamson serves as HealthTeamWorks’ collaborative partner in development and implementation of the advanced Alternative Payment Model (APM) Risk Readiness Evaluation. 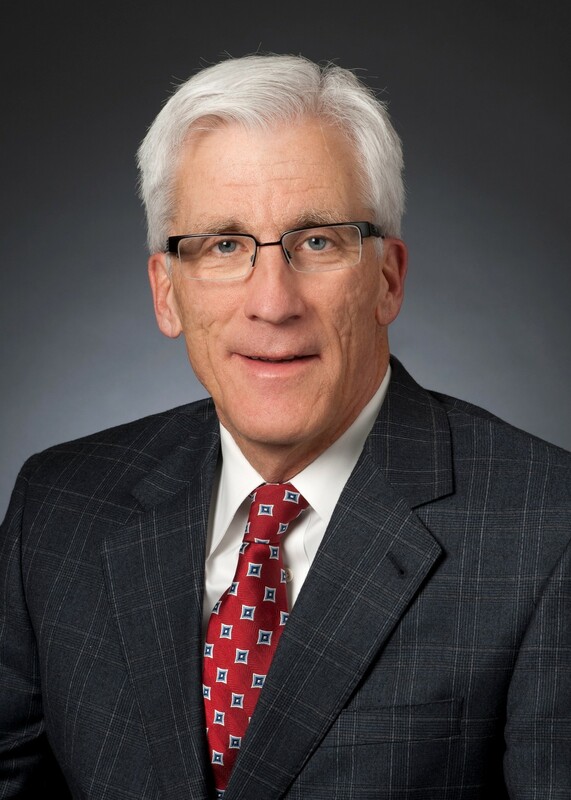 He brings more than 20 years of leadership experience managing teams in integrated health systems, managed care organizations, physician practices, and health care consulting. During his nine years as an executive at Blue Cross Blue Shield of Kansas City, he launched the health plan’s patient-centered medical home project and designed the plan’s advanced payment model contracts. IN STEP: What is the number one reason that organizations—group practices, physician-led accountable care organizations, independent practice organizations—need a multi-faceted evaluation of risk readiness for advanced alternative payment models (AAPMs)? Williamson: Practices and practice groups need to know what it’s going to take to thrive in this new world of accountable care delivery. The APM Risk Readiness Evaluation will help them get their arms around that—to figure out where they have some real strengths and what it is they need to do in order to thrive. Right now, it’s clear that federal health programs are pulling out the stops to move value-driven care forward, and requiring providers to take on greater and greater downside risk. This isn’t something that might happen; it’s in the new 2019 final rule for Medicare ACOs. It’s going to happen with Medicare. A lot of carriers I know are out there with providers right now setting up value-based reimbursement approaches. These include programs based on the Comprehensive Primary Care Plus initiative, bundled payment approaches, accountable care organizations and even a separate insurance product provided through your physician provider network, if you are capable of managing financial and quality risks. If you’re a physician who wants to stay in practice and thrive, and do not just a good job, but a better job than medicine has done historically in terms of producing and reporting quality, you’ve got to learn how to deal with bearing risk. IN STEP: What’s at risk if a careful evaluation isn’t done before going at risk? Williamson: If you’re not careful, depending on what kind of an advanced payment model you choose, you’re going to get blindsided by something unexpected. For example, on the health plan side, sometimes three or four high-cost patients could mean a negative bottom line. Insurance plans build reserves for that, but providers don’t tend to think about that. They need to be able to think through the potential risks and consider the worst-case scenario: What would I do if this happened to my practice? When going at risk, you have to be a lot more proactive and thoughtful. You need to be able to look at the particular model and figure out some of the implications of what could be in your future. Financial risk is manageable, if you plan for it, build the right infrastructure, and put strategies in place that mitigate an unlucky draw. In STEP: What are the common blind spots? Williamson: The first is poor planning for potential risks, as we just discussed. But there’s also commonly a lack of deep understanding of culture and its strengths and weaknesses. Organizations should carefully select risk-bearing models that align with their current strengths, and develop a multi-year strategy to get to the point where they can participate successfully in more advanced risk-based models. Finally, organizations need to be careful about how they invest in infrastructure. Specifically, they need to know where to invest first (e.g., new health IT capabilities, a care management program, etc.). I recommend they consider what they know will continue to add value, even if specific regulations or laws change. Every year, it seems that CMS eliminates a program and adds something new, so you have to be sure you’re not investing in things that may not be a priority tomorrow. Ready to start the conversation about HealthTeamWorks’ Advanced APM Risk Readiness Evaluation? Contact Bert Miuccio at solutions@healthteamworks.org.